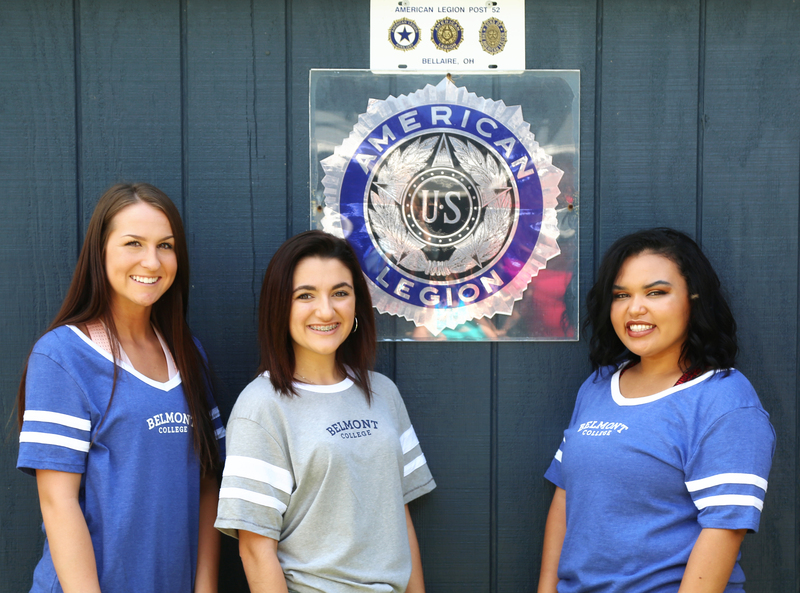 St. Clairsville, OH (August 6, 2018)— Belmont College is pleased to announce that they were a contributing sponsor to the 2018 Buckeye Girls State (BGS) delegates from American Legion Auxiliary Until 52, Bellaire. Photo caption (left to right): Maci Crozier, Aleyna Zwack, and Curtissa Ray. Not pictured: Sydney Purtiman. The BGS delegates are as follows: Maci Crozier, Sydney Purtiman, Curtissa Ray and Aleyna Zwack. All four delegates are from Bellaire, Ohio. Buckeye Girls State is a week-long program designed to educate Ohio’s young women in the duties, privileges, rights, and responsibilities of good citizenship. According to American Legion Auxiliary of Ohio, by getting involved in the process, BGS delegates learn more about city, county, and state government in one week than they will in an entire semester of high school. Additional sponsors were with sponsorship from: Chirps Auto Body, Bellaire; Barton Trap, Barton; EMT Ambulance Service, Bellaire.